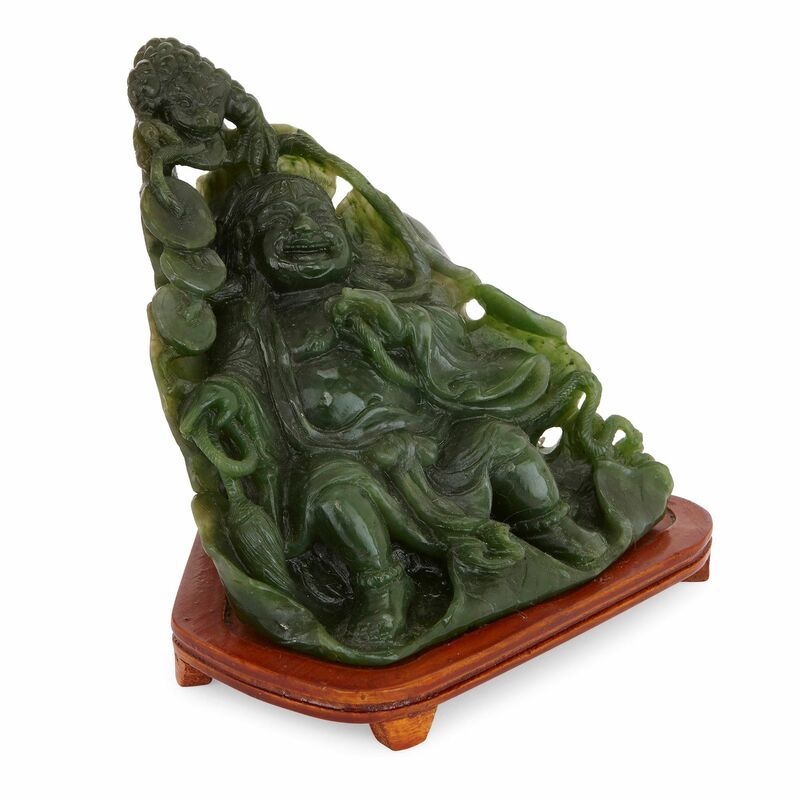 This antique Chinese Buddha is sculpted in nephrite jade, which has been used for exquisite ceremonial artefacts such as this one since the earliest Chinese dynasties. 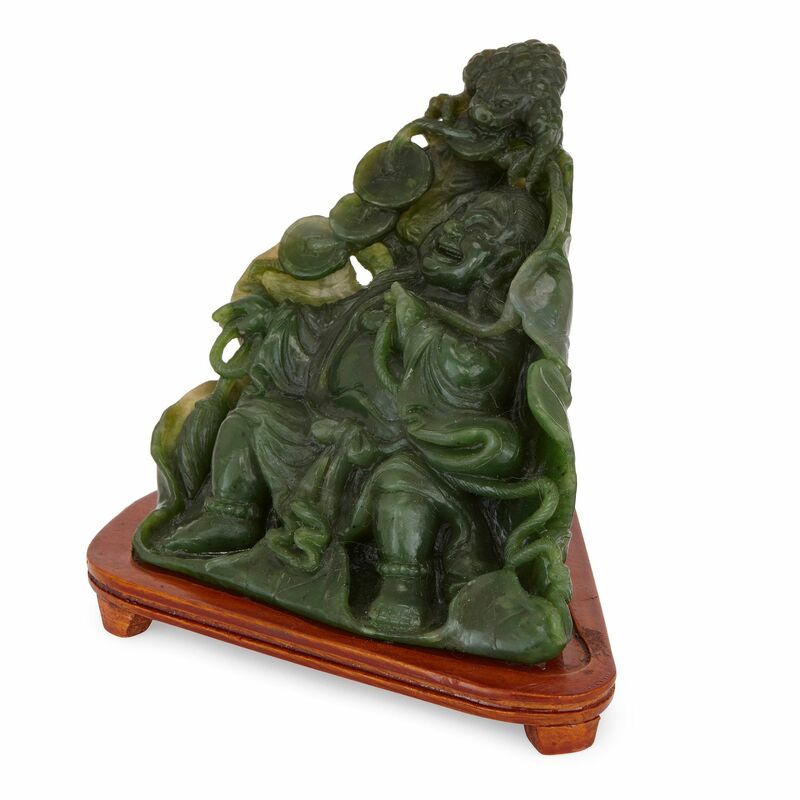 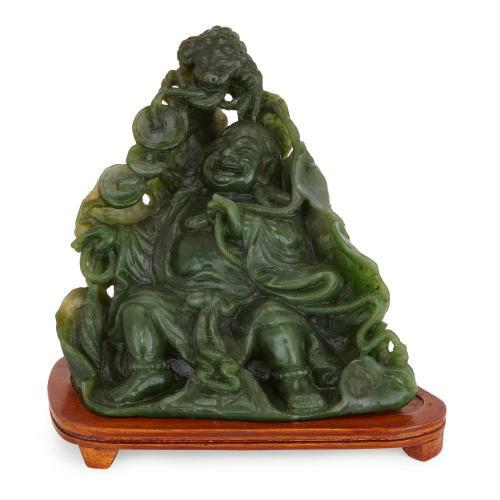 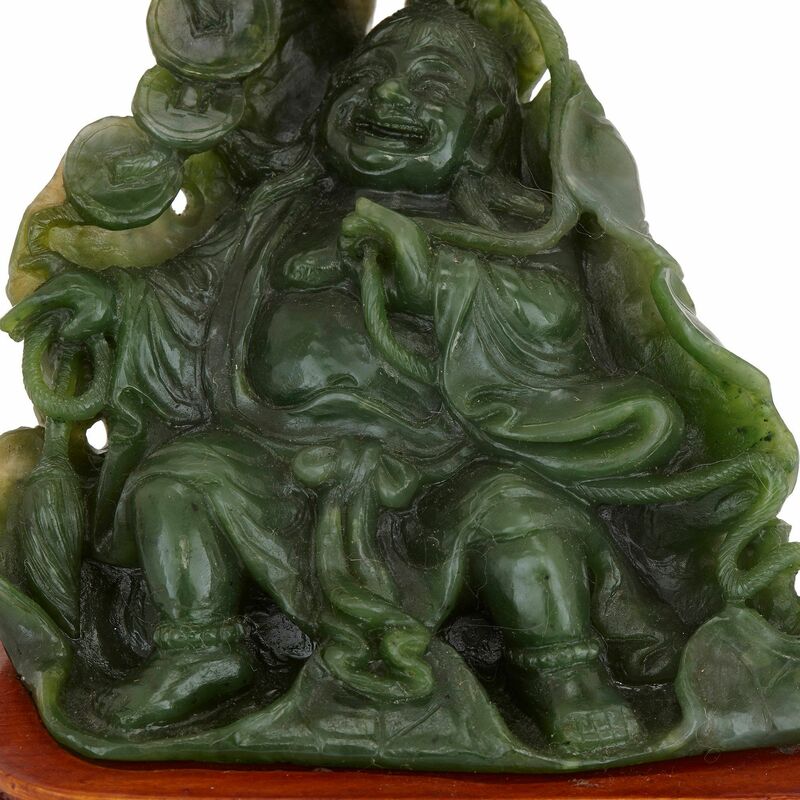 This fine 19th Century Qing dynasty Chinese sculpture of a laughing Buddha is in nephrite jade, which has been revered in China for thousands of years and used to sculpt objects of the highest importance. 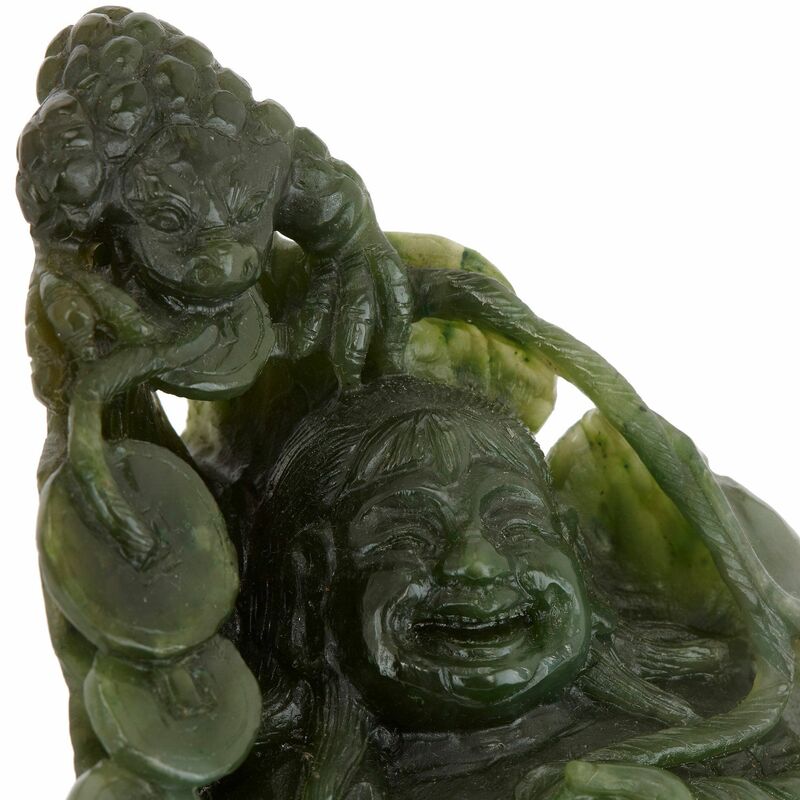 Here, the Buddha is depicted laughing, encircled by a buttoned rope which passes through the mouth of a dragon gargoyle. 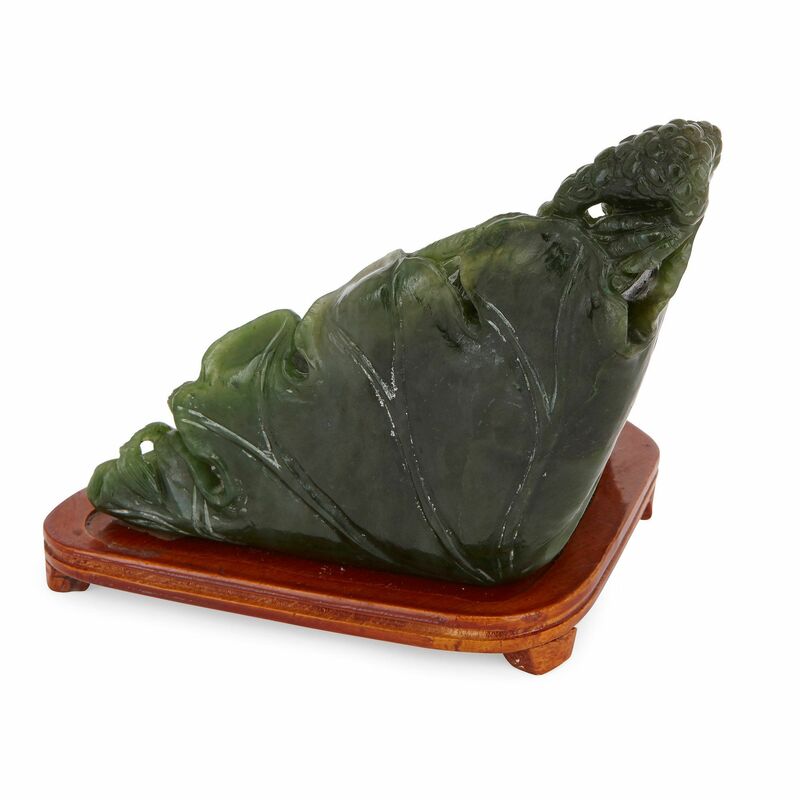 The statue is mounted on a four-footed wooden plinth.